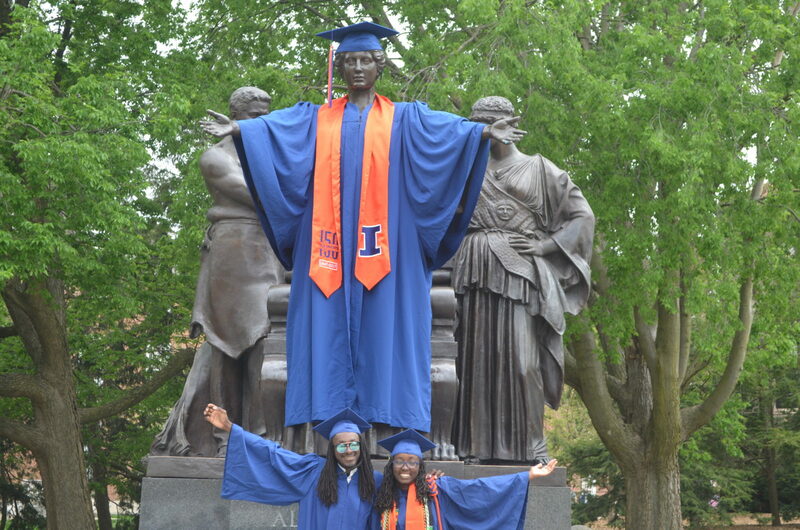 Both my children just graduated from the University of Illinois May 12-13, 2018. 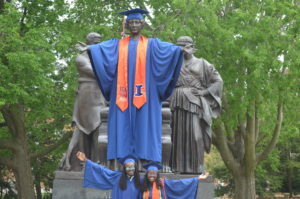 My daugher’s graduation speech had 3 key themes: Dominate the field; never stop toiling; and Go Illini Go. Her speech, as a 19 year old college graduate, had powerful lessons about life so I’m sharing it below. College graduation is one day. Preparation for that day began on the day they were born. Raising children is a marathon. You must be prepared for each step of their journey. Each child is different. It is so important to let them be who they are. One chose painting and one chose sports management. One chose to finish in three years; one chose four. Different people, different personalities; different gifts. Advice given may be taken; advice may be ignored; advice may be used later. It’s always good to share your wisdom with your children. You never know what may stick and when. Kindness and compassion are important to students. They need adults to be kind and caring as they navigate college. This includes authority figures of faculty, advisors, residence life staff, and others. It is important to encourage your student to push their boundaries from safe spaces to stretch spaces; from the comfort zone to the courage zone. On graduation day, it is wonderful to have family and friends celebrate with you. Waiting for one name to be called among hundreds is a sign of true friendship and love. It is a day of celebration and joy, a marker of achievement in life.In a life, there are few days that are markers of joy and accomplishment and thus, they are worthy of celebration. I’m grateful for friends that are family and family that are friends to celebrate a moment of joy and achievement. Pauses, rests, and vacations are important. They give us moments of reflection and preparation for the next step in our lives. Words of powerful. Words of encouragement and affirmation make a difference in a life.